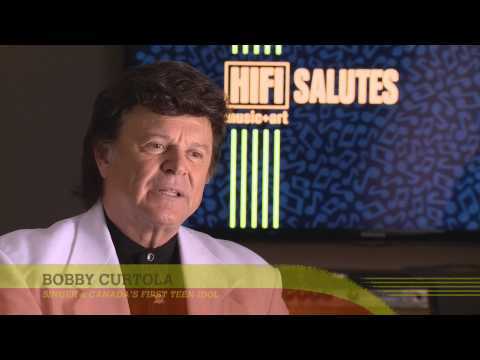 With filming now completed, Bobby’s fans will be happy that they will be able to hear some great candid stories on an upcoming episode of HIFI Salutes. HIFI Salutes takes a look at the history of rock and roll in Canada…the pioneers, the dealmakers and the hit makers. The Canadian music scene has grown significantly since its early days, with many internationally recognized artists, but in the 1960s and 1970s, Canadian artists didn’t get much respect or recognition. HIFI Salutes the people who fought to be heard, then rocked our world. These are the untold stories of the Canadian music industry.